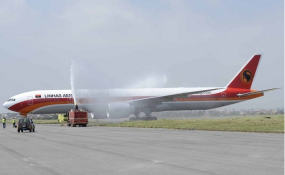 Luanda — Angola Airlines "TAAG" is to start operating again in April on the Luanda-Island of Sal (Cabo Verde) route, after almost four years of interruption since 2016 in order to rationalize expenses. The event was revealed to ANGOP on Monday by the company's CEO, Rui Carreira, noting that this African destination will serve as a connecting point to the city of Havana, capital of Cuba. "In this year of 2019, we'll not open any long-course routes. TAAG will start again to fly to Sal Island, trying to make the Sal/Havana bridge with two weekly flights, as from April", he assured. In the same path, said the official, the national flag company plans to open in June the route to Lagos (Nigeria), as a promising market, and later perhaps to Accra (Ghana). "There are other potential markets on the African continent, as we are going to re-research here in Central Africa the flights we used to have before, such as Bangui (Central African Republic) and Douala (Cameroon)," TAAG's CEO announced. He explained that the current limitation is on the reduced number of aircrafts, so that when Bombardier aircrafts arrive, as from this year, TAAG will have a larger fleet, together with new crews. In relation to the new international routes, Rui Carreira said that London (England) is a market that presents itself as a great promise for the future and that it is included in the priorities of this Angolan carrier. "As soon as we strengthen the fleet, we will, among Europe's routes, prioritize London, and then Paris. The United States of America is also in our intentions with the modernization of the fleet," he concluded.